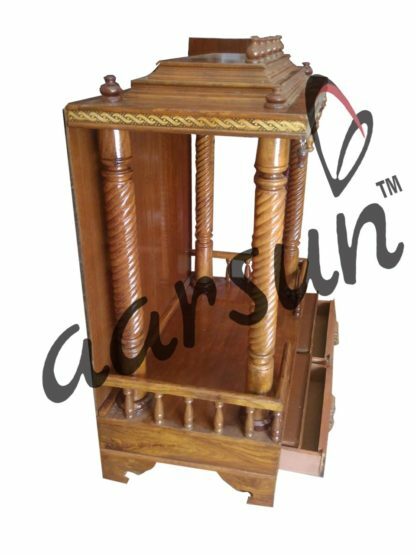 Aarsun Woods brings you Handcrafted Wooden Temple in Teak Wood with Natural Teak finish. 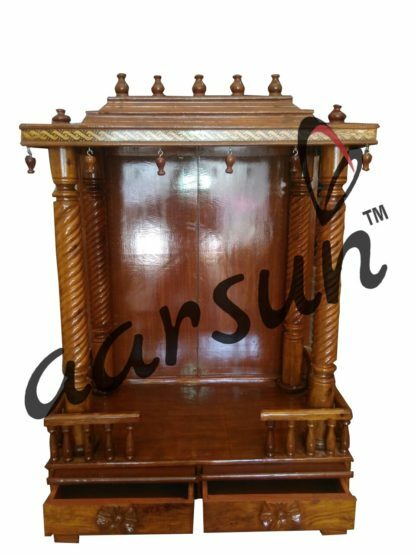 Wooden Temple / Wood mandir instills a sense of spirituality to your home and a place of worship. 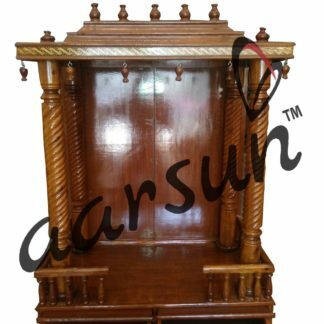 With this Wooden Temple/Pooja Ghar, one can place all the idols and common Pooja essentials at one place. 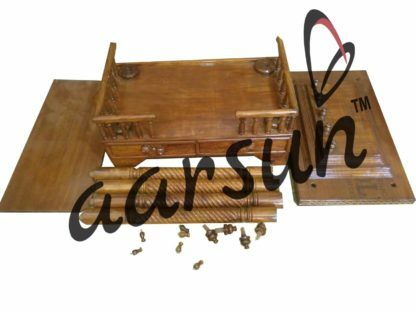 The smooth finish and style can blend in almost any present day home interiors- be it traditional old home or present day modern smart homes.